Get a good night’s sleep and experience the natural benefits of pure CBD with our CBD Sleep Gummies. Each chewy gummy combines a concentrated 15mg dose of pure CBD with the natural calming properties of Melatonin to promote restful sleep and morning wakefulness. Our CBD Sleep Gummies are specifically formulated to help you fall asleep faster and stay asleep longer – without the grogginess you may expect from prescription sleep aids. 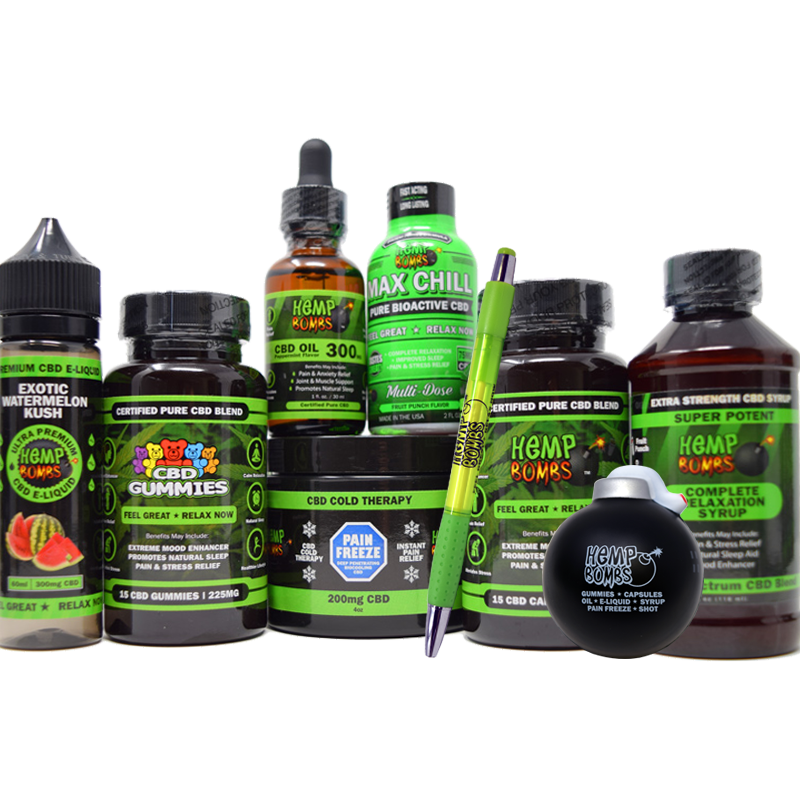 CBD, or Cannabidiol, is an all-natural compound derived from Cannabis plants. At Hemp Bombs, we source our CBD from Industrial Hemp, which contains high levels of CBD. CBD has become popular for its multitude of health benefits and the way it affects the human body’s Endocannabinoid System (ECS). The ECS helps maintain neurological functions such as sleep, appetite, mood and pain response. CBD can positively influence cannabinoid receptors throughout the ECS, which may promote a natural, longer night’s sleep. 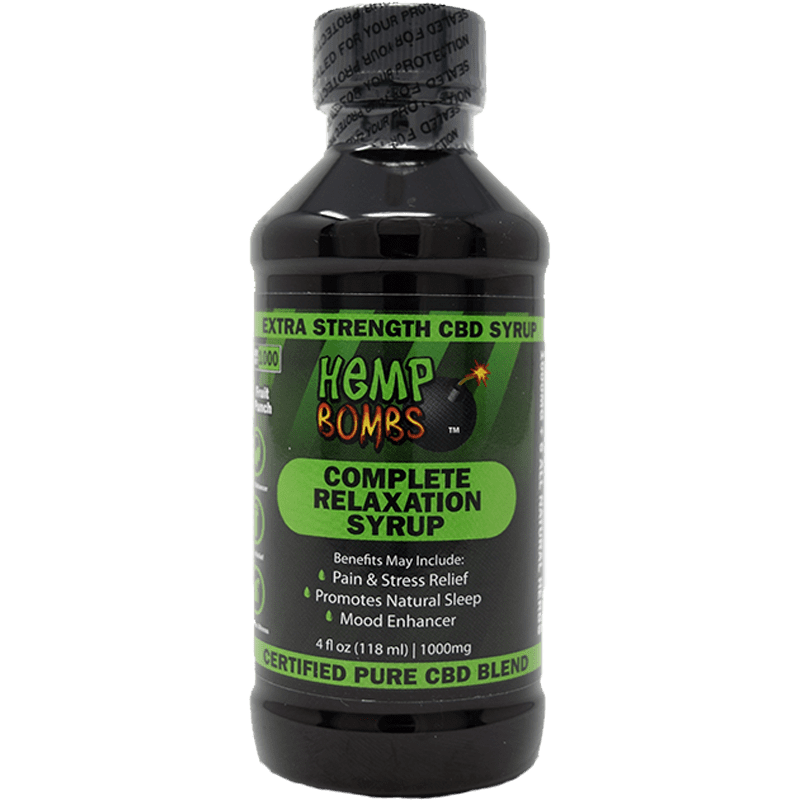 Yes, Hemp Bombs 5-count CBD Sleep Gummies are legal to buy and sell throughout the United States. Our CBD is sourced from Industrial Hemp and our CBD is considered isolate. This means our CBD is certified pure and contains no THC. How Many CBD Sleep Gummies Should I Take? 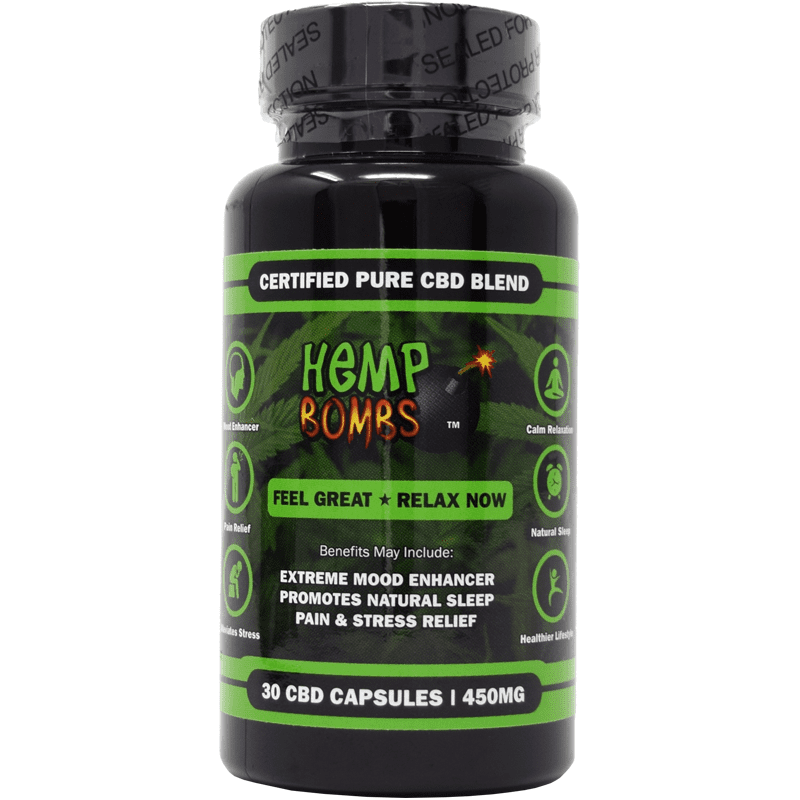 Hemp Bombs CBD Sleep Gummies will not get you “high.” Our products contain zero THC and our CBD is sourced from organic, certified premium Industrial Hemp. 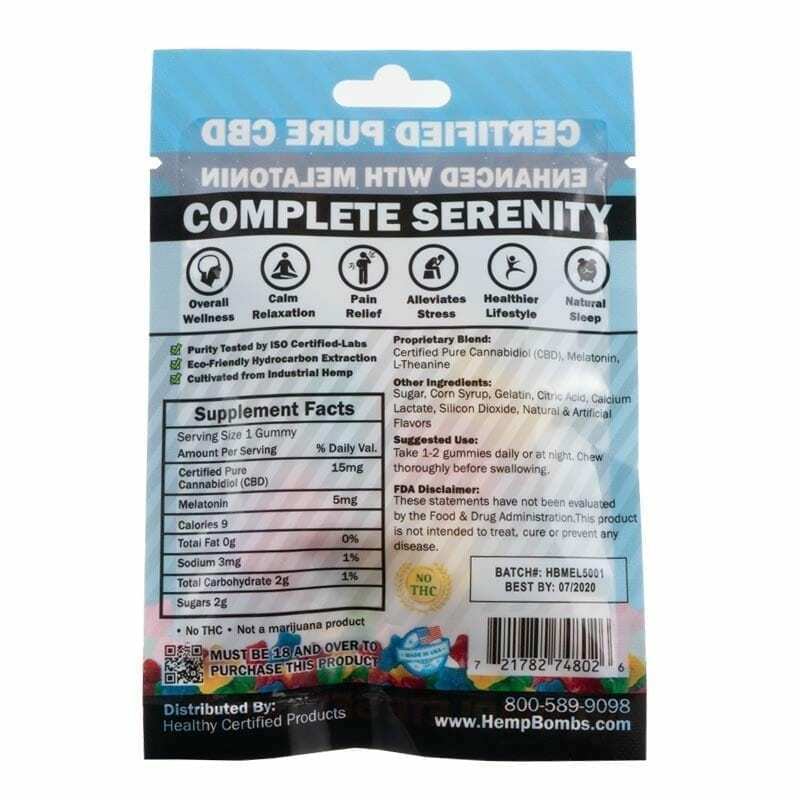 Our 60-count CBD Sleep Gummies promote a state of relaxation and tranquility and do not produce psychoactive effects. GREAT for sleep! I took two last night and was knocked out. Doing the same again tonight. … good news. I am amazed how well i’m sleeping with these sleep gummies. they work. My order arrived before I expected. 5 stars. Amazed at how these gummies made me feel relaxed and sleepy. They’re very affective and taste good. 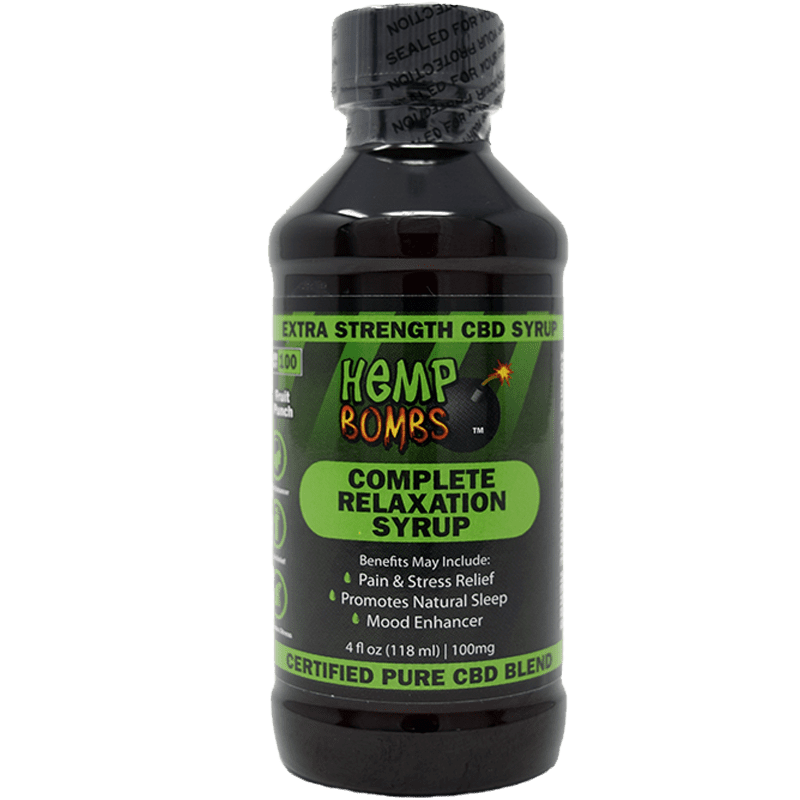 Another superb Hemp Bombs CBD product! These really do the trick for me for falling asleep quickly. My favorite Gummies now. I was taking the regular Gummies then you came out with these and they work better for sleep. Good improvement. My sleep has improved with these Sleep Gummies. You guys make great products. Tried the regular gummies and liked them. Just made an order for your gummies for sleep. I have insomnia and hope they work. Better than taking a sleeping pill. I swear by these. 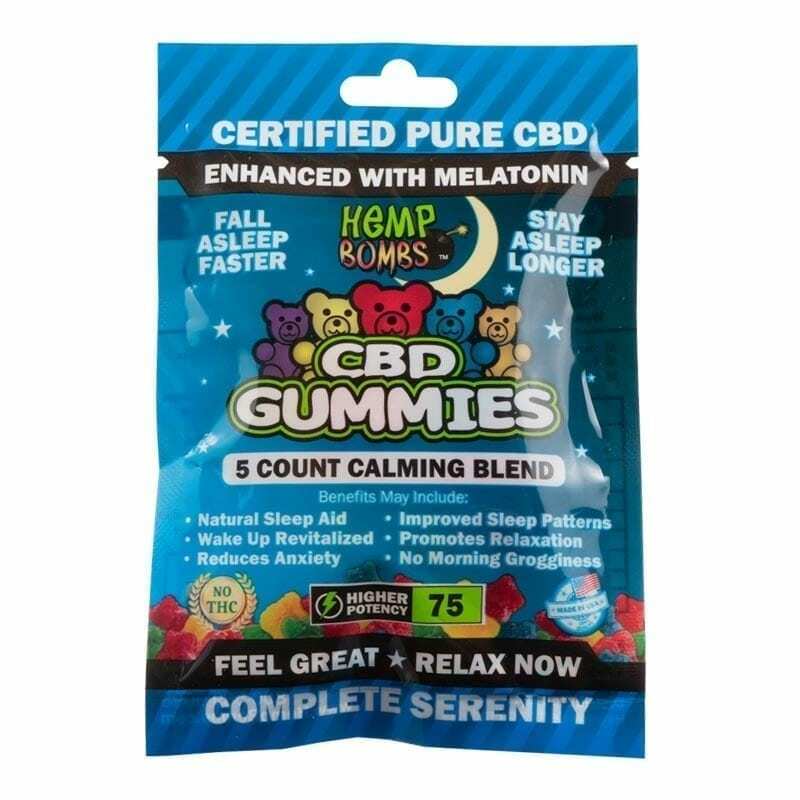 Just bought a bag of these cbd sleep gummies based on all the good reviews here. I dislike taking any type of medications, so this seems like a good option if it works. Ordering these worked out good. Your product has a lot of potential to help others. Thanks Hemp Bombs. These little gummy bears help me get to sleep quicker. These gave me some good sleep and easy on my stomach, unlike prescription meds. These didn’t help much with sleep. They did however mellow me out. Just don’t expect it to work like a sleeping pill. I was able to get good sleep with the sleep gummies. Thinking about buying the bottle of 60. I’m a regular customer of your normal cbd gummies and tried these new ones. They do seem to work better for sleep. I really like these gummies they really help me fall asleep. Do you think you could sell these in larger quantities rather then just the 5 pkg? Also was wondering why I get charged a foreign currency charge? These have helped me get to sleep faster. I really hope you guys come out with a bigger bottle of these gummies because wow man I take one at night and literally go to sleep 10 minutes after. I have MS and terrible time sleeping. Ordered these and slept like a baby the first night. I hope will be available in larger quantities. On the expensive side. But they do work. I guess the big bottle is a better buy for the money. I just can’t shell out a hundred bucks for gummies. I love them! they help me fall asleep and i wake up refreshed! I would recommend them to anyone. Can’t believe these little cbd candies work, but they do. The reviews are right. OMG! Amazing, finally with melatonin added with the CBD. Best sleep EVER! My 18 year old daughter has had sleep issues for pretty much her whole life and I got her these, and she sleep all night and felt amazing when she got up and it was at 2pm in the afternoon. Thank you so much Hempbombs such a life saver..
As someone who has a very hard time falling asleep easily, these helped a lot. They taste good too. Pretty good. I was eating the regular gummies and then you guys came out with these. They do make me tired and sleepy. I bought these for my husband that has trouble falling and staying a sleep. Didn’t want to buy a whole bottle if they don’t work. I can feel a difference between the other gummies. I am more drowsy using these.